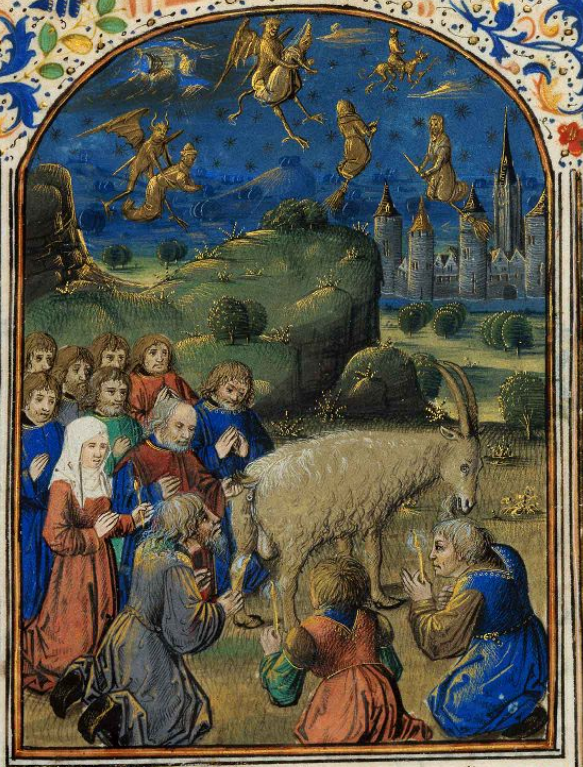 Details from “L’Adoration du bouc” (The Adoration of the Goat) from Jean Tinctor’s, Traité du crime de vauderie, ca. 1470. 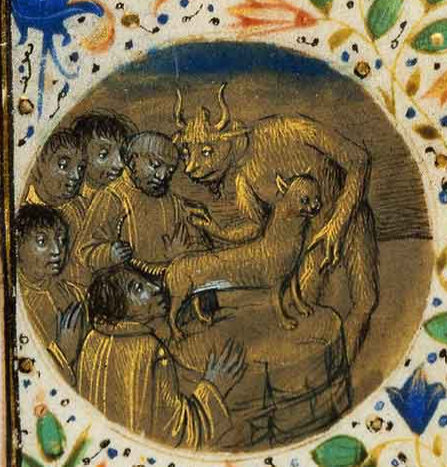 It was during this period that witches and the Waldensian heretics became associated with the stereotype of flying on broomsticks and beasts to their Sabbats. 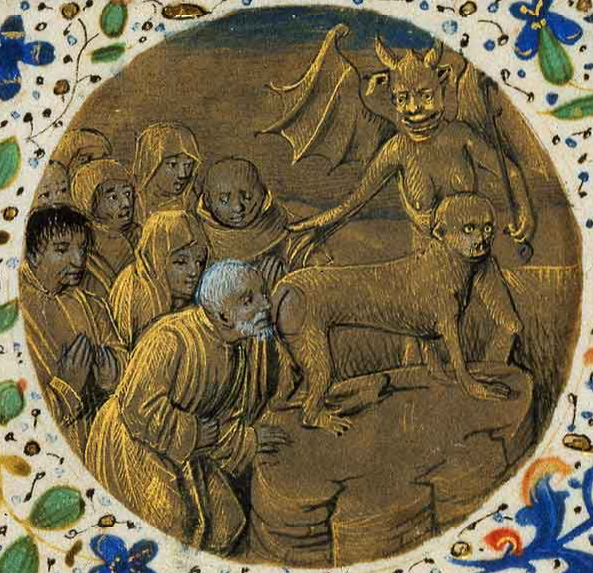 Thanks to the widespread fabrication of false testimonies obtained under torture, priests and inquisitors were able to literally demonize witchcraft, cementing this type of imagery into the minds of the Christian believers with the help of witchhunting manuals such as Malleus Maleficarum and Compendium Maleficarum, among many others.